As the new year gets in full swing, it’s important to evaluate the goals (read resolutions) you set for yourself at the start and make sure you are meeting milestones along the way. No one understands the path to success better than Wall Street Cinderella, Jenny Q. Ta, given the moniker for her business success. We sat down with Jenny to talk about her road from Vietnam War refugee to millionaire by the age of 27 and her now more than 20+ years of experience in sales, marketing and finance. We also wanted to get her take on what makes an entertainment company a success and if/how the power of celebrity comes into play! PPLA: What advice do you have for entrepreneurs starting out in today’s market? JT: Never take NO for an answer. Don’t let anyone deter you from what you want to do, they might just be envious and want you to stop making progress toward your success. Never doubt yourself; just do it and don’t think too much. PPLA: How do think the playing field has changed today for female entrepreneurs versus when you started your first company? JT: I believe things may have improved today from the one to two decades ago when I started, because we are now talking more about women empowerment. California just recently past that “equal pay” law to benefit women. This is a good start although I believe more needs to be done. There are certainly more opportunities for women today than there were when I started my company in 1999, nearly 17-18 years ago! PPLA: As an entertainment company we look to other success stories for inspiration. Vox Media and Buzzfeed were both named Business Insider ‘Unicorns’ being two of 42 startups to be worth billions in 2015. They were the only two media companies on the list. What do you think attracted investors to these companies and made them a success? JT: While I don’t personally know or follow the portfolios of either one of these media companies, I can say that investors are always attracted to companies with fast growth, quick money and quick returns like Uber. It’s just that simple. So, both VOX and Buzzfeed may have attracted investors because of their aggressiveness in terms of growth. PPLA: How important is a celebrity affiliation to a company or product in getting initial investment funding? I believe it really depends on the celebrity and the company. While celebrity affiliation NEVER hurts, it may NOT help either. One example would be Justin Timberlake trying to revive Myspace which didn’t work. Myspace died anyway and with Justin Timberlake’s name and brand behind it. It just couldn’t be revived. The same goes with mega superstars Beyoncé and Jay Z, where Jay Z acquired Tidal music for about $56 million dollars, but has since not making it successful. I believe it is because Jay Z is a music superstar, not a CEO. JT: I would say Jessica Alba’s is probably one of the only few that I am impressed by. However, Jessica Alba is not really a celebrity-run company as Alba is just the “brand” that is being utilized. She is not actually the CEO, that is Brian Lee. The only truly celebrity-run enterprise that I believe is quite successful, which I know a lot of people may not agree with, is the Kardashians run by Kris Jenner. Kris is commonly called a ‘Momager’ but I would call her the CEO of all of her daughters’ brands. PPLA: The lines between business, entertainment and politics have blurred- with Obama becoming a celebrity and celeb businessman Trump running in 2016! Financial interests often play a dominant role in politics. Is there someone you are throwing you support behind in 2016? Do you think it’s time for a female leader? JT: I am throwing my support behind any female presidential candidate regardless if it is Hillary or Carly (if Carly can get that far). So, if Hillary goes against Trump in the primary, I will be voting for Hillary. I am for women empowerment, so I definitely want to see a female leader. PPLA: Shows like The Profit, Shark Tank, & Restaurant Impossible have all made running and saving a business popular in TV culture? It’s now cool to be an entrepreneur. What do you like/dislike about these shows? I haven’t seen The Profit and have only watched Restaurant Impossible a few times, but I do enjoy Shark Tank. What I like about Shark Tank is how they promote and pump up the energy for all entrepreneurs. It’s not only cool to be an entrepreneur now, but entrepreneurs can learn about how to make a deal with investors from their weekly episodes. What I don’t like about Shark Tank is how it is now more about the “show” than about the “Sharks.” What I mean by that is that the “Sharks” act more like celebrities, than investors. PPLA: How will your upcoming venture VCNetwork.co change the investment landscape? JT: VCNetwork.co will change the investment landscape because it will give entrepreneurs another path to be connected with VCs, which they currently do not have. It will open up a new door for entrepreneurs not only within the US, but globally. 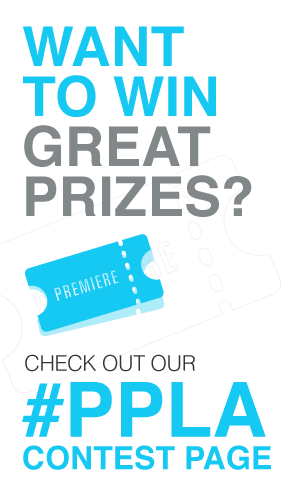 PPLA: If you could mentor any young celebrity in business/brand building, who would it be? JT: I can see Selena Gomez going far as an entrepreneur of her own brand. She has a clean record. Her music is getting better and better, and she is approachable. PPLA: Where do you see the VC marketplace in 5 years? JT: The VC marketplace will be in the trillions of dollars and will have expanded even more globally. Jenny is currently the CEO of Sqeeqee.com, the first-of-its-kind social networthing® site as well as the mastermind behind an interactive multi-player game, Squiggy Piggy, and the upcoming, VCNetwork. Prior to being a tech innovator she was the Founder and CEO of Titan Securities, a full service investment firm that was acquired in 2005, as well as Vantage Investments, a full-service broker-dealer start-up she founded in 1999 and grew to a quarter of a billion dollars in assets.